The centerpiece of this church is the grotto which used to be the home where Mary grew up. Notice the pillars which belonged to an earlier church that used to cover this site. Just inside the archway of the grotto is a room where (it is believed) the Angel Gabriel appeared to Mary and invited her to say yes to God’s plan to bring the Messiah into the world through her. Standing by the iron grate that protects the grotto, I feel suddenly very personally connected to Mary. Here is where a most significant event in human history took place! Here is where salvation began! Of course I am moved emotionally and spiritually! But it is more than that. Somehow, it is more, but I don’t understand. Soon, I will find out what that “more” is. 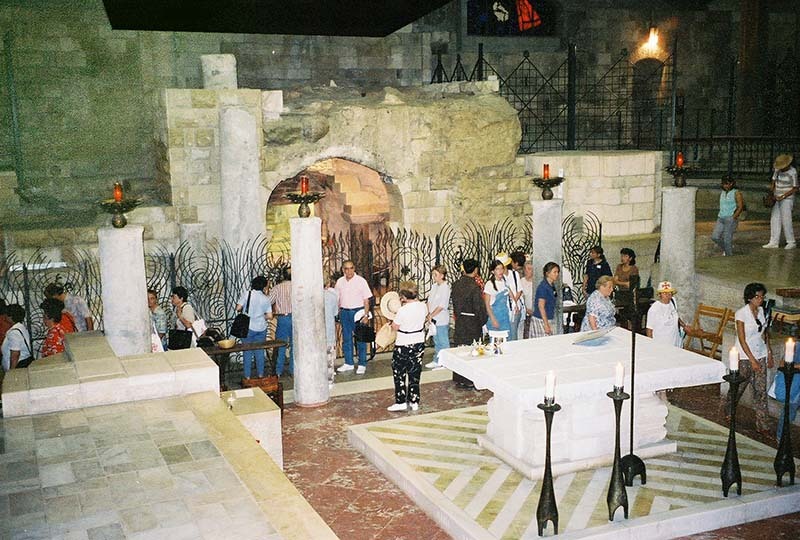 Click on the grotto where the Annunciation took place, and get a closer view.